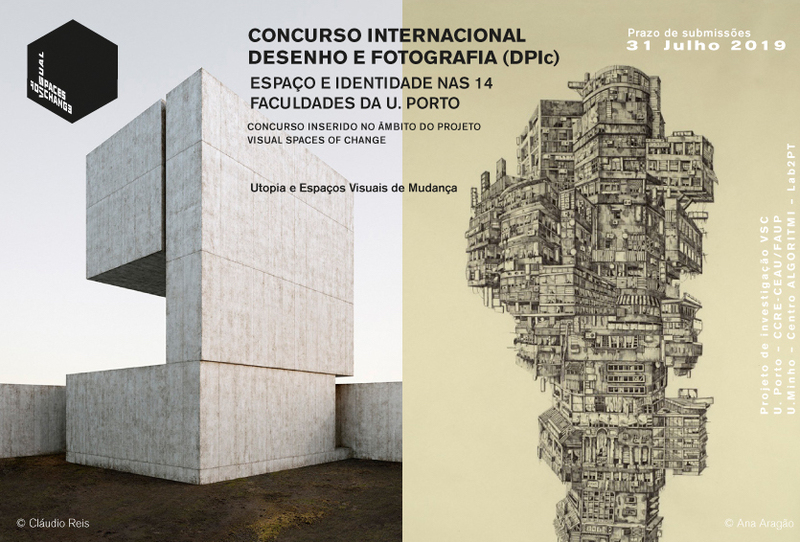 The International Contest of Drawing and Photography (DPIc) - Space and Identity in U.Porto Faculties: Visual Spaces of Change (VSC) is addressed to all of U.Porto students and researchers. The main theme of the contest is the idea of Utopia and Visual Spaces of Change (VSC), focusing on the spaces and identity of the 14 Faculties of U. Porto. The competition is organized by the research group CCRE (FAUP) integrated in the R & D center of FAUP (CEAU) and AEFAUP, in partnership with the Student Associations of all the other Faculties of U. Porto, being promoters the consortium of the project of with the laboratory AAi2 Lab, counting on the institutional support of the Rectory of U. Porto and FAUP. The coordination of the competition is the responsibility of the main CCRE-CEAU / FAUP responsible for the VSC project, in partnership with the ALGORITMI-Lab2PT / UMINHO Center for the VSC project.